The world is changing and Tropico is moving with the times - geographical powers rise and fall and the world market is dominated by new players with new demands and offers -- and you, as El Presidente, face a whole new set of challenges. If you are to triumph over your naysayers you will need to gain as much support from your people as possible. Your decisions will shape the future of your nation, and more importantly, the size of your off-shore bank account. Quad Core i5 2 GHz, 2 GB RAM (4 GB RAM - Vista/7), graphic card 512 MB (GeForce 8800 or better), 5 GB HDD, Windows XP/Vista/7. CyberLink PowerDVD Ultra v11 — is the ultimate universal media player that extends your viewing experience beyond just movies. Play Blu-ray discs, DVDs, video files, music, and now you can even view photos, all from one universal player. Connect your digital devices and PC with new apps for your iPhone, iPad and Android devices that let you control PowerDVD 11 remotely. Stream content from your smart device, DLNA server or cloud to your PC and let TrueTheater technology upgrade your digital media experience. — Ultimate Blu-ray player and Blu-ray 3D movie experience with support for CPU/GPU hardware acceleration for superb playback quality. — Ultra-fast Instant Seek to search for the movie scene you want to watch on your DVDs. — Vast Video format support lets you play almost every video file, including MKV (H.264), FLV (H.264), WTV, 3GP and 3G2 files. — Play Photos in Slideshows. You can enjoy photos stored on your PC, smart device or DLNA server, or from Facebook and Flickr. — Best Music Player that organizes and plays your music collection from your Windows 7 music library. — Enhance Quality of ALL Your Media. Whether it’s a video on your PC, from your network devices or from Youtube, PowerDVD 11 upscales to HD–like quality for ultimate enjoyment. — Play 2D content in 3D. Apply Truetheater 3D to your DVDs, videos and photos. Relive your content with realism and depth. — Perfect home videos. 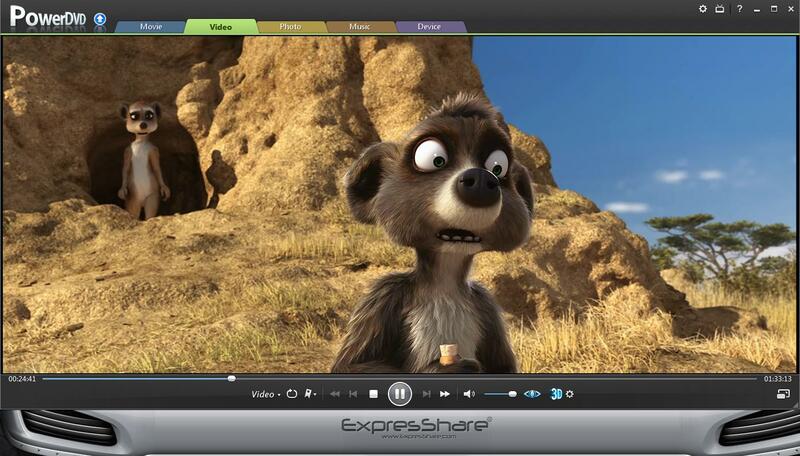 Stabilize shaky videos, remove noise and enhance brightness and details, PowerDVD 11 makes your videos look great. — New smart device app, PowerDVD Remote*, offers even more ways for you to enjoy your digital entertainment. — Turn smart devices to Remote Control for your PowerDVD 11 Blu-ray player, DVD movies, videos, music and photos with a tap of your finger. — Play Media from Devices to PowerDVD. With PowerDVD Remote you can easily watch and save all of your media from phone to PC wirelessly through the home network. — Support for Apple & Android Devices. Supports the Apple iPhone, iPad and iPod Touch, along with Android-based phones and tablets. — Watch videos from Youtube – Easily access your videos, favorites, subscribers and movie trailers on YouTube. Upload your videos directly from PowerDVD. — Access photos from Facebook and Flickr – View your own photos or friends' photos in animated slideshows. Comment on photos and download to your desktop. — Get movie info from MoovieLive – Access information of the movie you are watching, rate and review movies and collect your favorites. — Companion software MediaEspresso lets you convert and transfer your media from PCs to portables. — Smart Detect & Direct Sync. MediaEspresso automatically selects the right format for your smart phones, game consoles and other media players. — Ultra Fast Media Conversion. Support for leading CPU/GPU hardware acceleration means transferring hours of videos can be done in much less time. — PowerDVD 11 is much more than just a movie player – it’s the perfect universal media player for all your entertainment needs. Play any movie, video or music file or view photos stored locally, online or on other devices all from within the one powerful application. — PowerDVD 11 delivers the smoothest movie playback with its optimization for leading CPU/GPU technologies including 2nd generation Intel Core processors, AMD and NVIDIA. Leveraging the full power of your graphics hardware results in superb playback quality and reduced loading on your PC’s own system resources. — Also featuring new Instant Seek for fast search of movie scenes you want to watch on a DVD disc. — Blu-ray 3D is now a reality. With vivid dimensions in picture depth and crystal-clear images that leap out of your screen, you will be fully immersed in the movies. 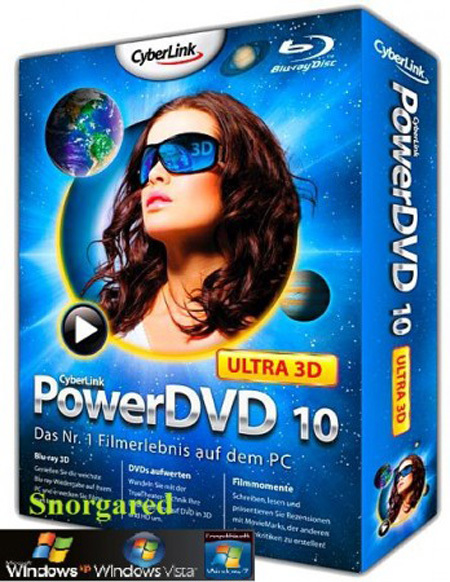 Try out the hi-def 3D experience in your own home with PowerDVD11. — And PowerDVD 11 Cinema Mode now also features an entirely 3D user interface for your 3D titles so that you can immerse yourself in the 3D experience from start to finish! — Match your visual experience with the best audio available. Experience crisp audio with lossless pass-through for Dolby TrueHD and DTS-HD Master Audio. Support for HDMI 1.4 allows simultaneous transfer of multi-channel high-definition audio using one hassle-free cable. 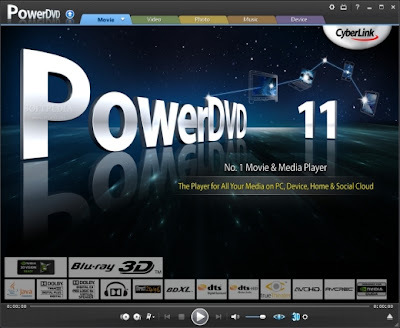 — PowerDVD 11 is the ultimate player for the viewing of HD video on your PC. Whether you're playing back AVCHD format home videos captured on your camcorder, or MKV & FLV files you've downloaded online, PowerDVD lets you play it back flawlessly. — PowerDVD 11’s new photo feature is so much more than just a viewer. Not only can you view photos stored on your PC, smart device or DLNA server, you can also check out images from Facebook and Flickr – all in the one convenient place. 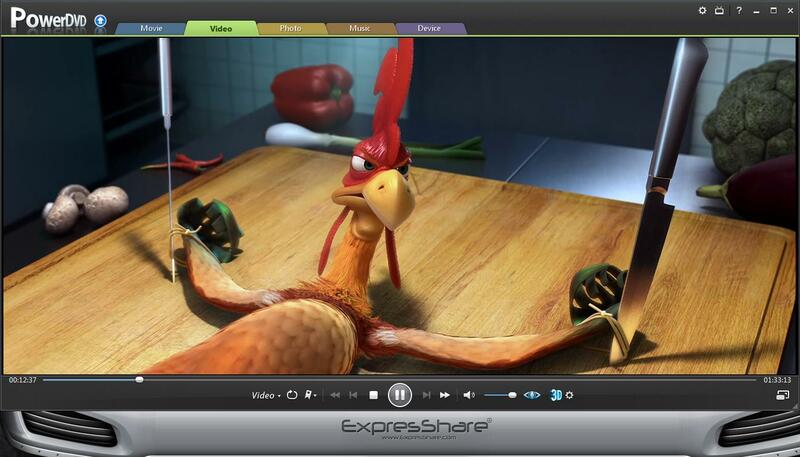 — And if you’re a fan of animated photo slideshows, PowerDVD 11 will put both 2D and 3D productions together for you at the click of a button. 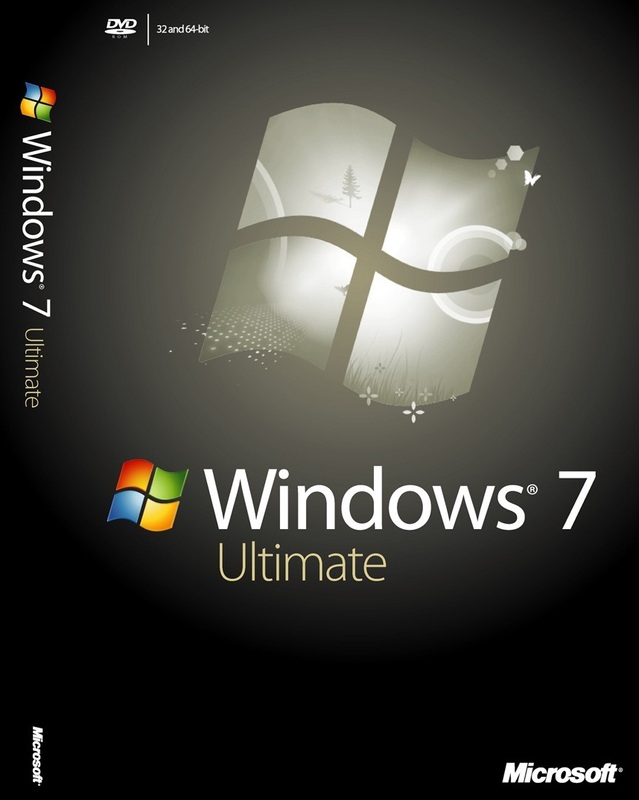 — With support for Windows 7 music library, PowerDVD 11 can sort your favorite music by title, album, artist, genre, length or size. Enjoy your favorite music tracks with easy-to-make playlists and if you enjoy a background soundtrack to your photo browsing,simply select whatever music you’re in the mood for then navigate to the “Photos” tab and browse through your images with an audio accompaniment. Another core enhancement to the OS comes in the form of Jump Lists. In short, Jump Lists put frequently used files in a convenient menu that’s a simple click away from the shortcut icon on the Taskbar or on the Start Menu. Apps that support Jump Lists will display the list when you right click on the shortcut, or when you left-click and drag the mouse up away from the Taskbar. Additionally, some apps will automatically populate their Jump List with files you recently opened. Along with the redesigned UI elements comes a whole new world of user-interface shortcuts. There are really too many to get into here, but the best of the new shortcuts allow you to maximize a window by dragging it to the top of the screen, minimize it by dragging it to the bottom, maximize to half your screen by dragging it to either edge, or (our favorite) minimizing all other windows by shaking the one you want to focus on. Furthermore, enhancements to alt+tab let you immediately find lost windows, and you can use the Windows key and numbers 1 through 0 to launch the first ten shortcuts on your Taskbar. And when those apps are already open, you can cycle through multiple windows by pressing the app’s keyboard shortcut again. Windows Explorer also receives some much-needed love. The changes since Vista are relatively minor, but they serve to make the left-column of Explorer the quickest way to navigate to any folder on your hard drive, network, or even in the cloud. Furthermore, you can arrange the different categories in any way you want, quickly add special folders to the Favorites section, and even hide sections you don’t use. The other main place to access the file browser is the shortcut bar on the right column of the Start Menu. In Windows 7, there are more folders that you can choose to display there, including Downloads and Recorded TV. However, you still can’t place any folder you choose in one of those precious slots. 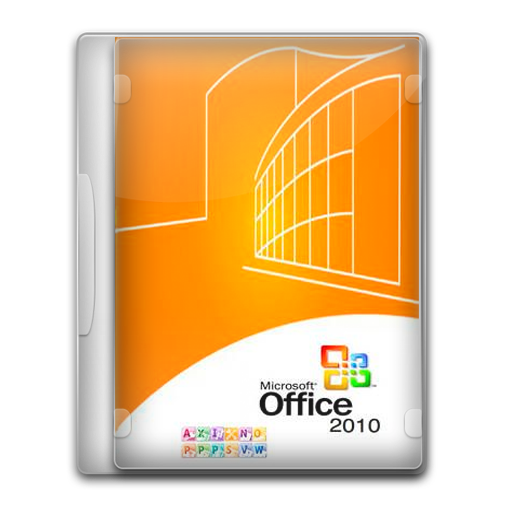 The controversial Ribbon, which replaced traditional menus and shortcut bars in Office 2007, is prominently featured in Windows 7. In the applets that ship with the OS, you’ll see the Ribbon featured prominently. terbaru melalui situs resmi vga nya masing2. harap pakai salah satu saja. saya remove,tapi nampaknya masih ada yang tertinggal file .dll atau registry nya gimana nih? Q: www itu apa sih kk? A: www itu artinya wah wah wah (INTERNET!!! World Wide Web) kebangetan kalo lo gak tau! Q:Game ini kok nggak bisa di win 98 / xp sp 1 ??? lain apakah support buat di win 98 / xp sp 1?? bbrp game hanya untuk sp 2 tau!! Ati Radeon seri 8000 ke bawah. Malu bertanya sesat di jalan....banyak bertanya malu malu in. A fascinating logic platformer with a cartoonish design. In the title role - three wayward sheep who must be intact to bring home to the farm. With over 60 levels in 3 different environments and a lot of different bonuses. 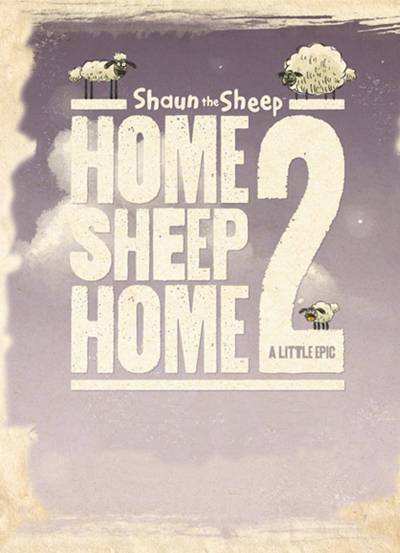 Shaun, Timmy and Shirley from the animated film "Shaun the Sheep" with us again! Again, they got into trouble and need to bring them out of the dungeon, the streets of London and the depths of space to the green grass native farm. Solve 48 stages loaded with clever puzzles. Use the individual strengths of Shaun, Shirley, and Timmy in each stage. While solving puzzles, collect little lost socks. These bonus goodies are well worth the effort. Simply gorgeous hand-drawn art. You’ve never seen Aardman’s lovable Shaun look this good in a mobile game. 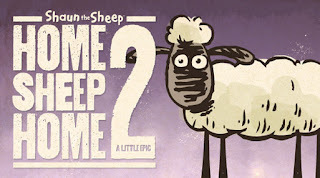 Game PC Shaun the sheep ini merupakan game yang sederhana dan juga mengasikan, terutama bagi anak anak. Jika anda memiliki seorang adik, anak, keponakan dll. Di bandingkan membiarkannya bermain game online, saya rasa game ini jauh lebih bermanfaat dan membangun untuk mereka. Karena sambil bermain, game ini juga akan mengasah daya pikir kita. Adobe Photoshop CS5 Extended software is the ultimate solution for advanced digital imaging,delivering all the editing and compositing capabilities of Photoshop CS5 plus breakthrough tools that let you create and edit 3D and motion-based content. with different exposures in one HDR-image,Photoshop CS5 accurately retains the full range of key scenes. New technology allows the HDR Pro to eliminate spurious distortions and provides more precise control of the tone mapping. With features HDR rendering,users can simulate HDR-images using a single image,claim the developers. In addition,Photoshop CS5 includes revolutionary tools to enhance the creative potential of users. Brand new drawing tools include a tool Mixer Brush,who mixes an infinite number of colors on one brush tool Bristle Tips,creating the effect of this smear brush. With Puppet Warp tool,users can change the position or view of any element of the image,for example,straightened his bent arm on the photos or adjust an image of the landscape to create a new spatial perspective. Achieve superior results in fewer steps when you remove noise,add grain,create vignettes,correct lens distortions,sharpen,and create HDR images. And enjoy better-than-ever raw file conversion. Explore fresh design possibilities with powerful new tools. Paint naturally and realistically with on-canvas color blending and textured brush strokes. Warp or stretch graphics,text,or image elements to create unique looks. Get exactly the look you want,more quickly than ever before. Easily select intricate image content,such as hair,for refinements,compositing,or placing in layout. Remove an image element and see the space fill in almost magically. Keep pushing creative boundaries with world-class 2D and 3D design. Use powerful new selection,painting,and warping capabilities to create standout images. Get just the right look for each client’s site. Easily select intricate image elements for placing in layout. Create 3D artwork for logos and buttons. Create and enhance 3D and motion-based content and prepare still images and text for all your projects. Work fast with cross-platform 64-bit support,and create stunning HDR images for video backdrops. Design cutting-edge looks for interactive web content and experiences. Create 3D artwork,warped graphics,and realistic painting effects for all your projects. Description: Autodesk® AutoCAD is a CAD (Computer Aided Design or Computer Aided Drafting) software application for 2D and 3D design and drafting, developed and sold by Autodesk, Inc. Initially released in late 1982, Autodesk® AutoCAD was one of the first CAD programs to run on personal computers, and notably the IBM PC. Most CAD software at the time ran on graphics terminals connected to mainframe computers or mini-computers. Design and shape the world around you with the powerful, flexible features found in AutoCAD® software, one of the world's leading 2D and 3D design applications. 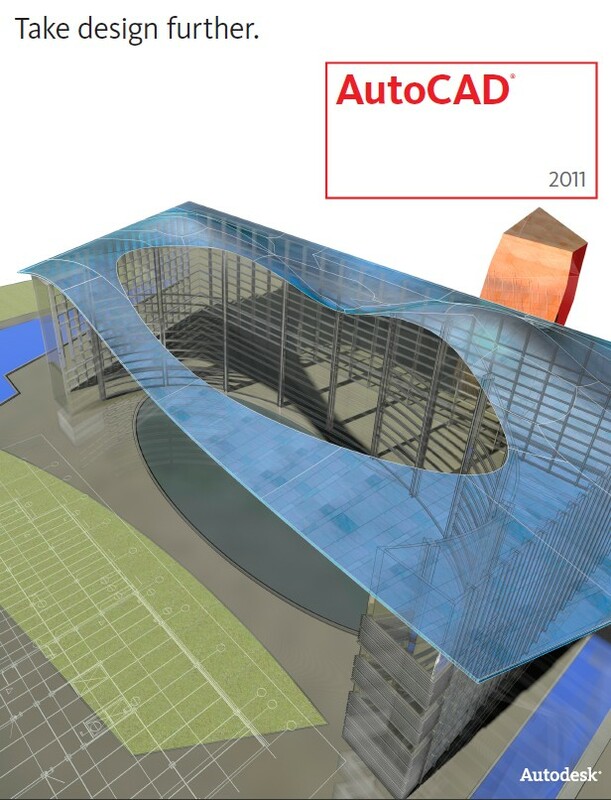 With robust 3D tools that can create almost any shape imaginable, AutoCAD helps you intuitively explore design ideas. It offers innovations that can increase design and documentation efficiency, and enables you to more securely, accurately, a nd seamlessly share those designs with colleagues. Powerful programming tools and thousands of available add-ons provide the ultimate in flexibility, helping you customize AutoCAD software for your specific needs. With these capabilities and more, AutoCAD delivers the power and flexibility needed to take documentation and design further. Installation: Unpack, burn or mount with D-Tools & install. Check Crack/install.txt on DVD To install Autocad in another language than english, do this: 1- extract the *.iso in a temp folder. 2- copy and paste the content of your language folder (es-ES or fr-FR or pt-BR)in the "en-US" folder and overwrite. 3- go into x86 folder and do the same thing. 4- launch "setup.exe" 5- choose "english" as install language (but it will be yours!) Enjoy! Pentium 4 1.4 GHz, 256MB RAM, graphic card 32MB (GeForce 2 or better), 3 GB HDD. 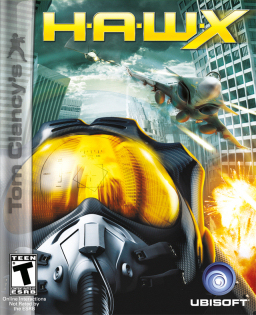 Set in conceived version of the future inspired by the best-selling Tom Clancy videogame franchises, this flight combat action game imagines a world where a private military force has cumulated such power that it attacks the USA. Thrust into the cockpits of incredibly powerful and technologically advanced jet fighters, gamers will benefit from hi-tech piloting assistance, providing comfort, security and enhanced perception. As players gain skills and confidence, they will be able to shed the assistance. But before choosing performance over security, they’ll have to weigh the risks carefully.